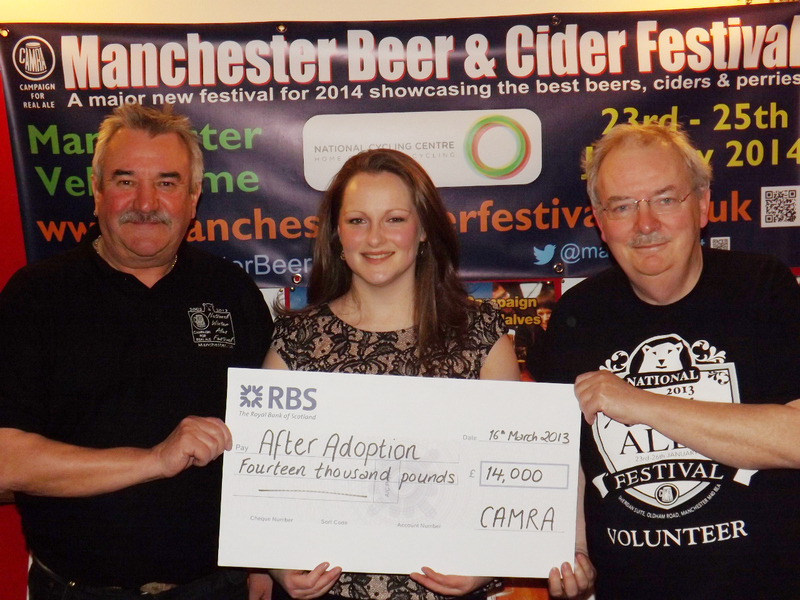 The first Manchester Beer and Cider Festival, to be held at the National Cycling Centre’s iconic Velodrome, Manchester in January 2014 is offering one lucky charity the opportunity to associate themselves with the new event. The festival is being organised by the same team who ran the National Winter Ales Festival (NWAF) in Manchester continuously from 2005 to 2013. During this time the festival had associations with various charities. The most recent, After Adoption, enjoyed a three-year association with the festival. During this time they managed to raise over £14,000 while also spreading the word about their aims and objectives. So successful were they that some local families have adopted children thanks to After Adoption being the NWAF festival charity. The organising committee is now inviting applications from charities who wish to benefit from a similar association for the 2014 and 2015 events.The chosen charity will be offered a free promotional stall and free rein to collect loose change from customers at the event which is expected to attract in excess of 8000 visitors. They will also be promoted on the festival website, posters, flyers and in the festival programme. Charities are invited to contact the festival organiser outlining their charitable aims, the number of volunteers they would expect to assist the festival, examples of similar events they have participated in and suggestions for activities which they would be willing to run. Applications should be sent to organiser@mancbeerfest.uk by no later than May 5th 2013.